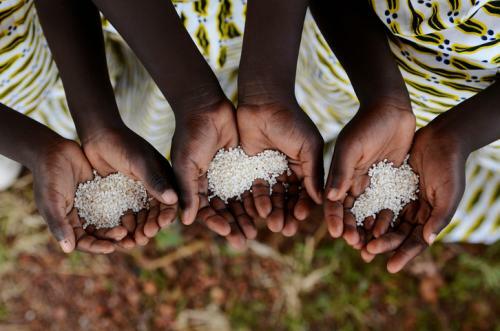 In Africa, a quarter of the population is still without secure access to food, finds the latest report by African Development Bank Group. Agriculture in Africa, as per the report, is performing below its potential. Around 70 per cent of the continent’s population depends on agriculture for their livelihood but it accounts for just 5 per cent of the global agriculture. Food deficit continues to affect 37 countries in Africa and only 6 per cent of its cultivated land is irrigated. Africa’s agricultural yield lags behind other agrarian nations from the developing world: cereal productivity in low-income African countries stands at 1.3 tonnes per hectare. To put things in perspective, this is half of India’s yield and a quarter of China’s. The report lists a wide set of reasons for slow progress such as fragmented and insecure land holdings, poor access to finance, and slow adoption of new technologies and innovative business models. Other shocks such as Ebola have also rendered the continent vulnerable. Three West African countries affected by Ebola epidemic are now facing a serious shortage in food supplies. The report suggests that a more business-oriented approach involving both private and public investment will speed up progress. This will help in introducing new farming practices and business models connecting Africa to global value chains. Further, it suggests agricultural techniques to increase yield including mulching, intercropping, crop rotation, integrated crop and livestock management. The report says that women farmers, youth and marginalised groups need support to overcome barriers in accessing land, credit and services. Biotechnology and digitisation investments are also required in the region. Biotechnology can be used to create crops resistant to pests, disease, drought and water-logging. Mobile technologies improve farmers’ access to information. For instance, the M-Farm app in Kenya, which updates with price trends, connects buyers to sellers amongst other things. The report points out that agriculture has become the priority in African political agenda. It adds that Africa has the potential to become a global agricultural powerhouse in the next decade.